On the Ground floor there is also access to a garage and storage room, which the owners have converted into an extra professional kitchen (storage room) and “man cave” (garage). 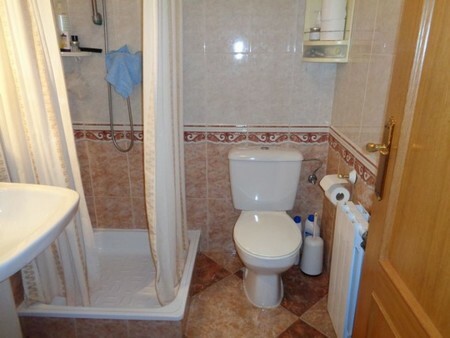 These can easily be changed back to their original form if wanted. 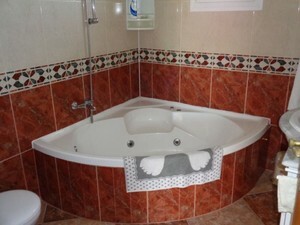 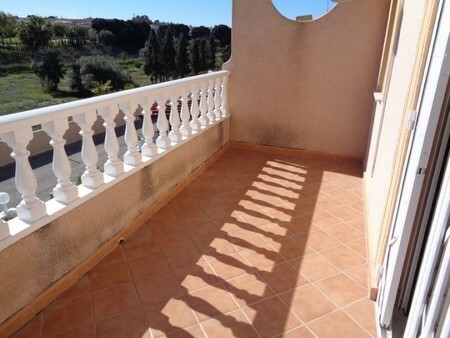 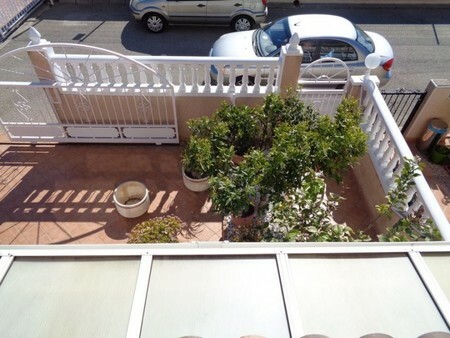 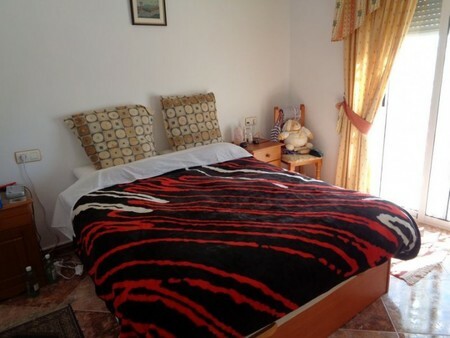 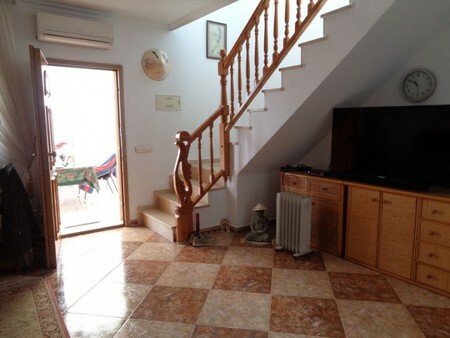 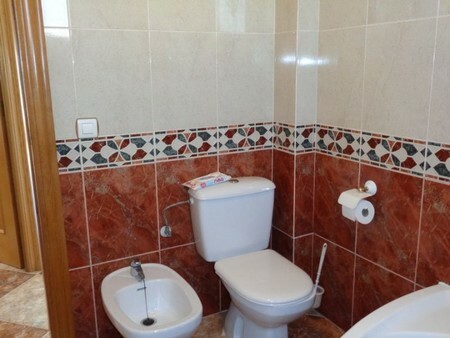 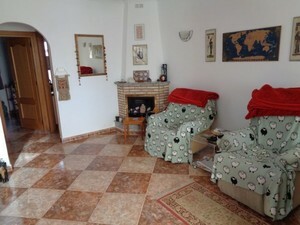 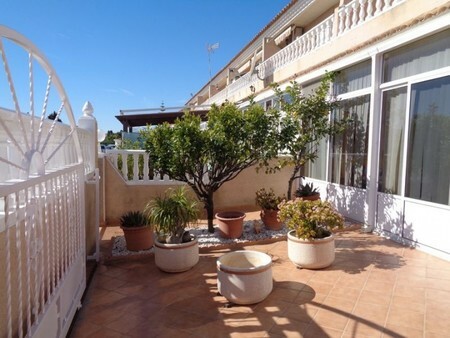 On the first floor, there are two bedrooms; the main bedroom has a large terrace with views to the orange groves and park in front and 1 full bathroom with corner jet bath. 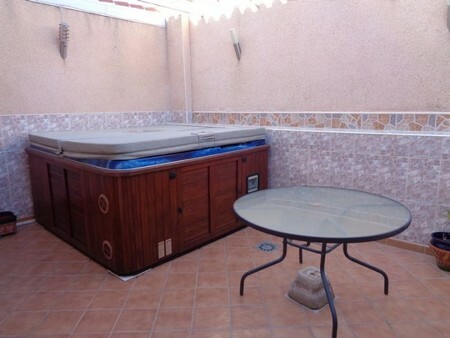 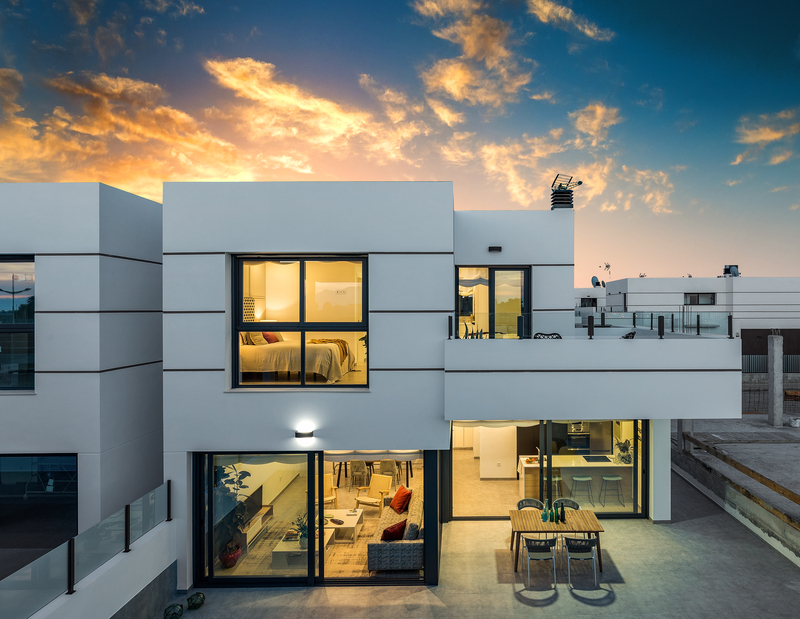 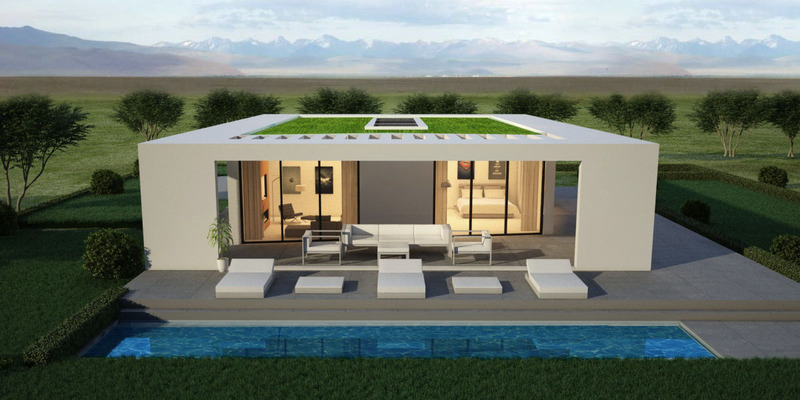 The residential is gated and has a communal swimming pool. 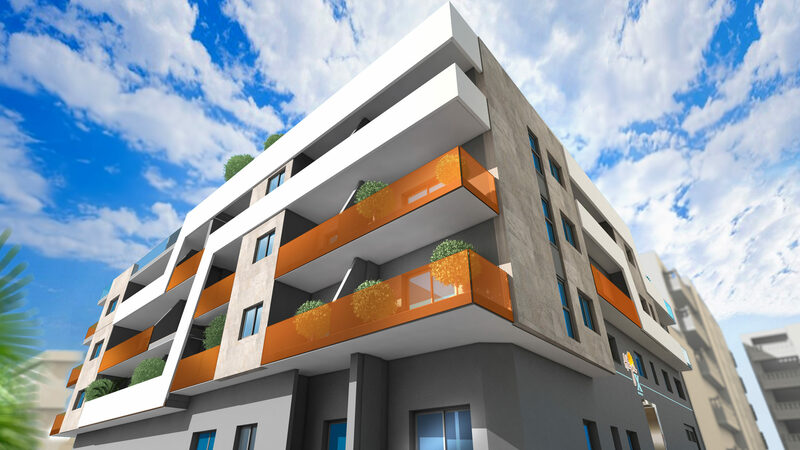 The duplex has extras such as air conditioning, ceiling fans, chimney and gas central heating throughout. 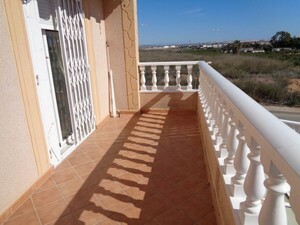 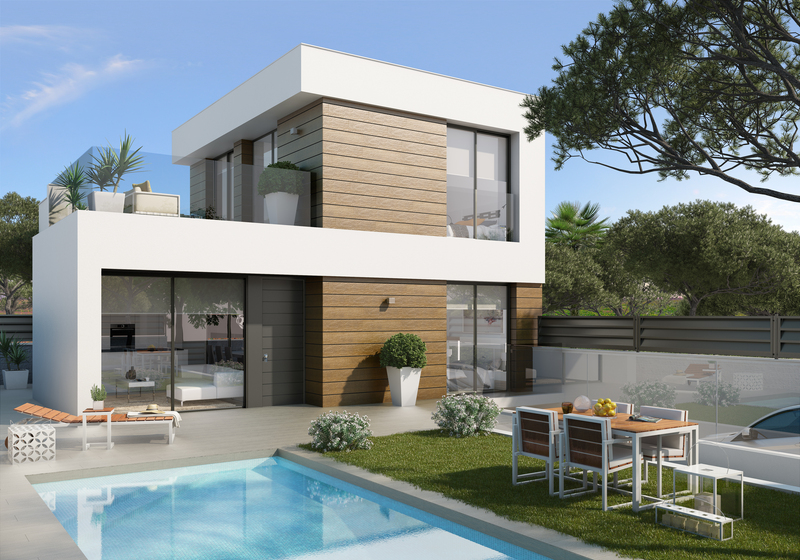 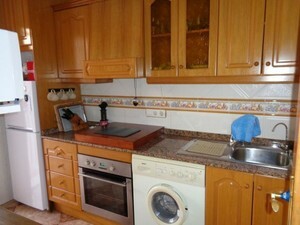 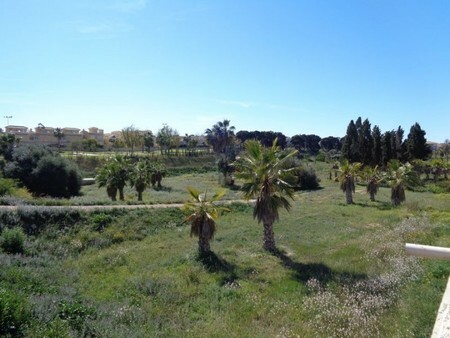 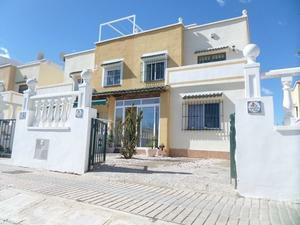 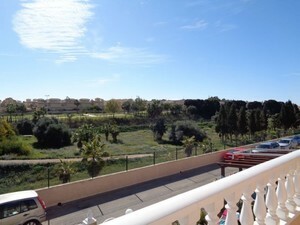 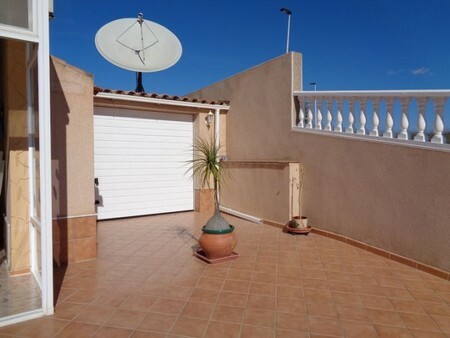 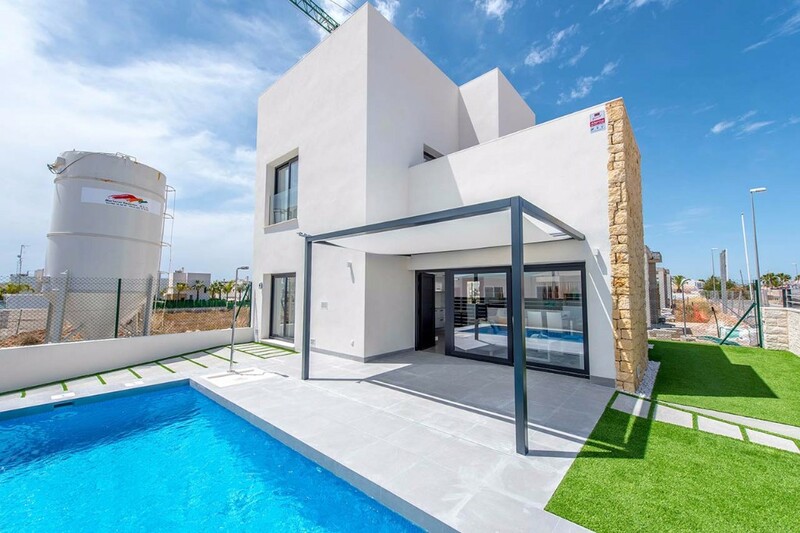 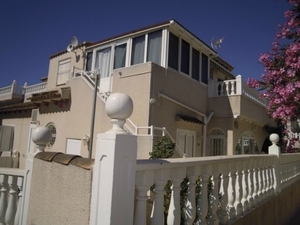 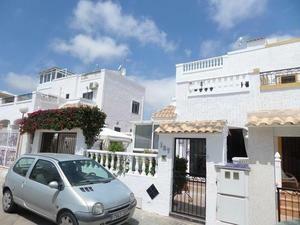 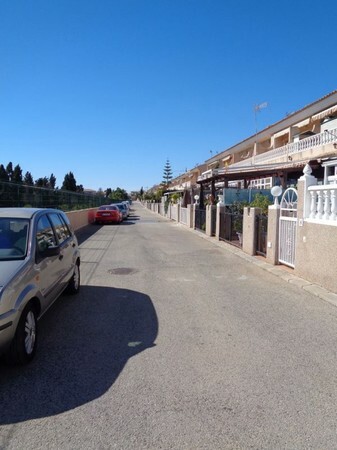 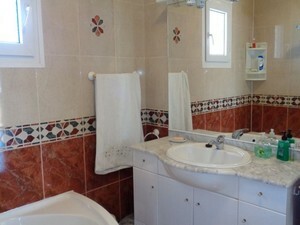 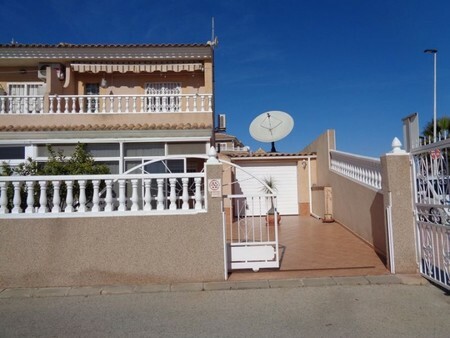 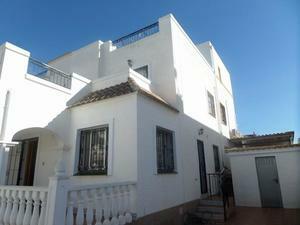 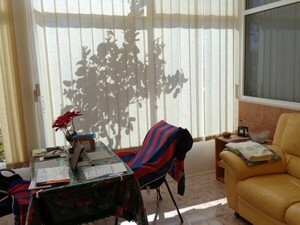 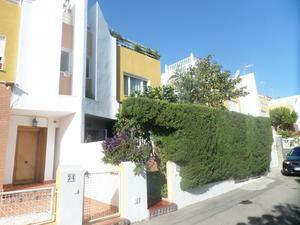 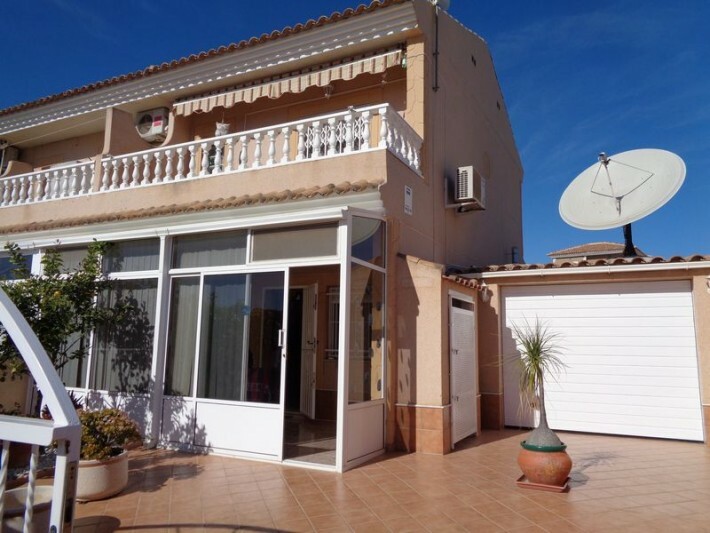 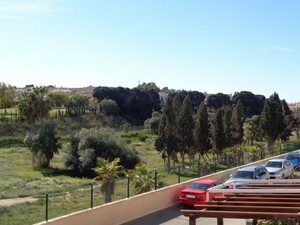 Distance to the airport of Alicante 48km, to the Golf courses 4km and to the sea 2km.